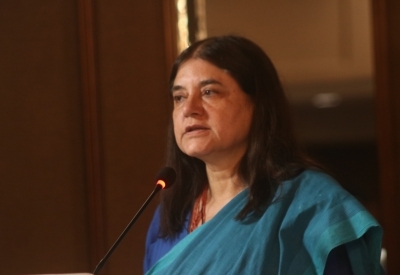 New Delhi July 13 (IANS) Union Minister Maneka Gandhi on Friday called upon all Chief Ministers to appoint adequate number of Protection Officers (POs) with independent charge to ensure effective implementation of the Protection of Women from Domestic Violence Act (PWDVA) 2005. The Women and Child Development Minister has written a letter to the Chief Ministers in this regard so as to provide immediate protection and relief to the women facing violence within families according to an official statement. "It has come to my notice that in most states officers of other departments are given this responsibility as an additional charge. Considering the practical situation of how feasible it is for a woman to come out of her home to register a complaint it is important that we appoint more POs " the Minister said in the statement. She also insists on making public details of the officers deputed for the duty so that they can be easily accessed by the aggrieved women and has also requested that a separate budget be allocated for the smooth functioning of POs providing support to survivors capacity building for staff and for generating awareness. Gandhi has further mentioned that for the convenience of women Form IV of the Act which enumerates the rights of the women be translated into local languages. "Every woman has the right to lead a life free from violence. I urge you to personally initiate action to prevent violence against women and ensure protection of the rights of women through effective implementation of the Act " Gandhi added.